Contracts are essential for small businesses and freelancers—without them, the agreements that guarantee side hustle stability are weak at best. Whether you need a contract for individual gigs you take on, or you’re managing a group of contracts for your own employees, choosing the right management software is key. The old days of office organization involved large reams of paper and filing cabinets, but contract management software allows you to create the contracts you send to clients or use for your employees in a paper-free platform. The average software package is able to track a contract’s complete lifecycle, from creating the document, sending it to others, logging signatures, and then storing the information in an electronic format. The result is a streamlined business process that promotes organization and requires less physical space. What Kind of Contract Management Software Do I Need? How easy is it to use? An intuitive platform is important, even if the contract management software you use has a lot of bells and whistles. What is the scope? 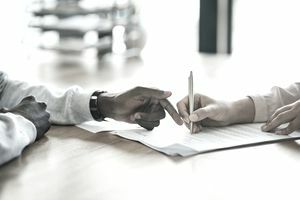 Are you drafting contracts to solidify agreements between you and your clients (i.e., you’re a freelancer), or are you hiring employees as well? Considering these choices early will help you decide how many user licenses you'll need whether a free version can meet your overall needs. What functions do I need? It’s difficult to know all the functions you’ll need without experience, but it’s easier to anticipate if you make a list of the goals surrounding your contracts' lifecycles, e.g., if you expect multiple version revisions or require customization. It’s also wise to consider the other systems you use. If you’re working in Salesforce, for example, it can be helpful to use a contract management system that is compatible. How are contracts stored? How would you like to store your contracts? While some management software relies on cloud-based storage, others require local storage space on your computer, which you should be aware of before signing up. Features: Unlimited customization, advanced life cycle features, including user access control, Salesforce compatibility, user wizards, and DocuSign integration. Room for improvement: Customization ability can be overwhelming, and more documentation is needed to help users. Agiloft lives up to their positive user ratings. Contracts created in their system can be used for everything from sales to legal agreements, allowing both individual freelancers and larger companies to use the software effectively. Detailed reporting and analytics capabilities also make it easy to track batches of contracts with little effort. Features: Online document editing, deadline alerts, version control and auditing capabilities, administration and user group creation, accepts e-signatures. Room for improvement: The free version of the contract management software does not include custom branding options, integration with Salesforce, Google Drive or Dropbox. If you’re looking for a simple interface with effective results, Concord provides a free solution. Appropriate for all sized businesses, this contract management software supports the document’s lifecycle from start to finish, including the acceptance of e-signatures. Keep in mind that users who want to customize the visual look of their contracts may fall short in this platform, and workflow automation isn’t part of the package. That said, the free version is an easy way to draft straightforward contracts that get the job done. Features: Updraft’s contract management software was designed to save time while using all the advanced system tools you'd expect for the price, including tracking, reporting, version control, auditing and more. Room for improvement: Working outside of the questionnaire structure can be difficult; longer set-up time. Updraft is a unique contract management software. Their parent company, Origin Systems, relied on the human experience to create the contract management software, using natural language and a questionnaire system to help the user draft tailored contracts. The advanced system means that the initial setup can be more challenging than other choices, but the user interface, once established, is worth the effort and cost. The bottom line: Cost, form, and function are all important when it comes to choosing the right contract management software, and it’s a good idea to rank your needs to choose a business tool that aligns with your goals.